Sarita Romeiro, born May 8, 1963. B.A. Early Childhood Education, Certificate from the Centro de Treinamento Missionário (Independent Presbyterian Church), and the Open Arms Center for Leadership Training – Assis, Sao Paulo, Brazil. Sarita is a member and commissioned missionary of the UNIEDAS church of Aquidauana, Mato Grosso do Sul, Brazil. Sarita came to Christ while a young mother suffering in an abusive marriage which ended in the suicide of her husband who suffered with alcoholism. For many years she has worked tirelessly leading the Children’s ministry of her church and subsequently a church plant in a poor neighborhood in her city where Open Arms was a partner. Sarita is a widow, mother of two daughters and a son, and has one granddaughter. Sarita has been involved with Open Arms since the first exploratory mission teams were sent to Brazil in 2003 and 2004. She served as a founding member of the Board of Directors in Brazil. During a visit to Aquidauana in 2008 she sensed a strong leading from the Lord to move there and initiate an Open Arms outreach project among the children in a poor, mixed indigenous and Brazilian neighborhood. Open Arms did not have funds sufficient to support her full-time but Sarita and the Board were convinced the call was from the Lord and so she went in 2009 as a “tent-maker” working as a substitute teacher and seamstress to support herself and plant a mission. 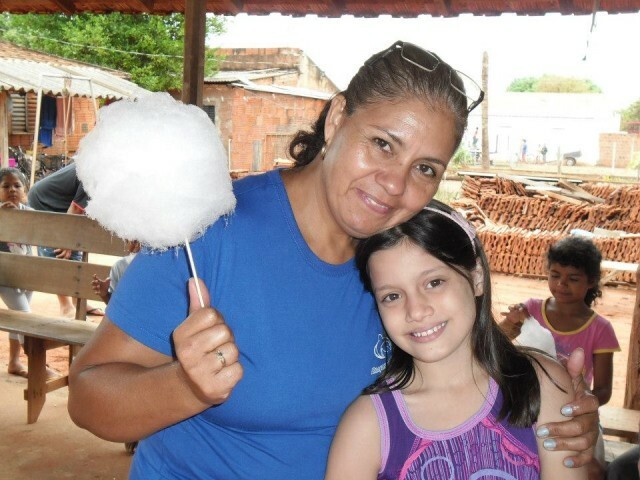 She has planted five OA outreaches during that time and currently serves as Regional Missionary for Mato Grosso do Sul where she leads urban and indigenous outreach projects for OA. Sarita has worked as an elementary school teacher in several public elementary schools as well as at a reform school for elementary aged children. She has also augmented her income when necessary as a seamstress. To learn more about Agent of Hope, Sarita Romeiro, click HERE.